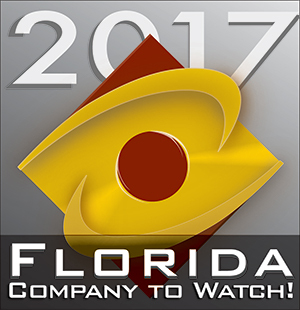 Orlando, Fla. (May 30, 2017) - SawStreet® was among the first round of2017 Florida Companies to Watch finalists recently announced by GrowFL. The awards event - now in its seventh year - honors 50 select second-stage companies from throughout the state of Florida for developing valuable products and services, creating quality jobs, enriching communities, and broadening new industries throughout Florida. Chosen from a candidate pool of more than 800 nominations, the finalists collectively represent $598 million in annual revenue and employ 3,200 full-time equivalent employees. The Florida Companies To Watch program consists of two rounds of selections. Finalists now advance to the second round, where they will be further evaluated based on their performance in the marketplace, innovative products, services or processes, philanthropy and empowered employees. “We applaud these first round finalists who have shown how they stand out in their regions as innovative business leaders, going to the next level to grow their companies. They are true rock stars,” says Dr. Tom O’Neal, GrowFL Executive Director. The Finalists represent a unique group of scalable, high-growth enterprises that are already located within Florida. These high growth enterprises are an important segment of our economy and their numbers have been steadily increasing, which contributed to Florida’s ranking of 24 on the Kauffman Index of Growth Entrepreneurship. According to this report, “entrepreneurship is not a monolithic phenomenon, and it includes many moving parts. Creating new businesses is a different economic activity from running small businesses, which in turn is different from growing businesses.” Florida Companies to Watch recognizes the different approach needed to successfully grow and scale a business, and celebrates those that are working to achieve this goal. The winners will be announced in MID July. The 2017 honorees will be celebrated at the awards ceremony October 14th at The Straz Center for the Performing Arts in Tampa, FL. For more information visit www.GrowFL.com/flctw17. SawStreet® is a privately owned quick turn semiconductor backend service provider founded in 2008. SawStreet's services include grinding, dicing, pick & place, and inspection. SawStreet is dedicated to providing the highest quality service and finding unique solutions to customer's more demanding requirements. SawStreet’s Silicon Valley experience in both semiconductor and backend services gives them unique insights into what is required to provide high quality, quick turn services to an industry where time to market issues are critical. SawStreet® specializes in working on products for the microwave and millimeter wave market. This requires working with GaAs, InP, GaN/SiC substrates that may be as thin as 50 microns and semiconductor circuits no larger than 250 x 250 microns. Our services support a range of products used in the cellular, satellite, medical and security markets. The first major product that we supported was semiconductor chips for the millimeter wave body scanners now in use in our airports. SawStreet® continues to innovate in the services it provides and continually works to further develop the software required to provide better services for our customers. 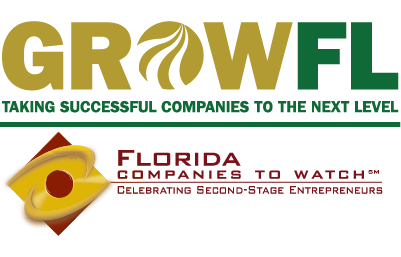 GrowFL was created in 2009 as an economic development program focused on assisting second-stage growth companies prosper in the state of Florida. By providing strategies, resources and support to second-stage companies for next level growth through Strategic Research, Peer Learning and Leadership Development, GrowFL helps companies overcome obstacles to growth and leads them towards prosperity. Based on the philosophy of Economic Gardening® — to grow existing businesses in a community, region or state — GrowFL, the Florida Economic Gardening Institute, is a critical component to the state’s economic development strategy and Florida’s entrepreneurial ecosystem. GrowFL is a statewide economic development organization certified by the National Center for Economic Gardening through the Edward Lowe Foundation. GrowFL has assisted more than 1000 companies through the Strategic Research and CEO Roundtable programs and recognized 300 successful entrepreneurs through the annual awards program, Florida Companies to Watch. Learn more at www.GrowFL.com. Established in 1985, the Edward Lowe Foundation is a national, nonprofit organization that supports entrepreneurship through research, recognition and educational programs, which are delivered through entrepreneur support organizations (ESOs). The foundation focuses on second-stage companies — those that have moved beyond the startup phase and seek significant, steady growth. In addition, the foundation has a mission of land stewardship and is committed to preserving the natural resources and historically significant structures at Big Rock Valley, its 2,000-acre home in southwest Michigan. Learn more at www.edwardlowe.org. SawStreet® was selected from more than 500+ nominees for Florida Companies to WatchSM, a statewide program managed by economic development group GrowFL, in association with the Edward Lowe Foundation. SawStreet is an ISO certified supplier. Click Here for a copy of the certificate. SawStreet is registered with the US Department of State and handles products covered under the International Traffic in Arms Regulations (ITAR). SawStreet is a certified Service Disabled Veteran Owned Small Business (SDVOSB).